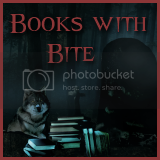 The Eclectic Bookshelf: Discussion Post ~ Note taking for reviews? A couple of weeks ago I was reading the book Enclave by Ann Aguirre and I actually took the time to take notes about the book on a note pad so that I wouldn't forget any "important" details in my review. Then came time to write my review and I thought that if I put everything I had in my notes in my review I might cause some unintentional spoilers. So sometimes I think that taking notes might be a double edged sword...That I might giveaway or create an unintentional spoiler with the information that I've added to my notes, some might find it helpful, others might take offense. So my question(s) to you are: 1. Do you personally take notes about the books that you read in order to include all the important facts in your review? 2. Do you do this for every book you review? and 3. How do you deal with potentially creating an unintentional spoiler in your review? I think that I may continue to do this but I really don't want to potentially ruin someones reading experience with an unintentional spoiler. I take notes but ONLY for the first 1/3 of the book. There shouldn't be any spoilers at that point and if I write my synopsis after reading the first third then it gives the reader more of a hanging feel. My review on the other hand I start at 1/3 of the way (at least a couple of sentences) and then only write another couple & the grade/steam when I'm finished. If I do it that way, I KNOW I'm not giving away something important. Potential spoilers? Well, I only leave them if it's IMPORTANT and will affect whether someone will/will not read. I usually put them in a lighter font or make it so that the reader must highlight to read. hey! great topic. I take notes, but not specifically for a review.. for my trailers. but it's relevent to what you are talking about here. when I take my notes, I'll write different scenes I liked ect.. or quotes by characters.. I dont ever want to put a spoiler in my trailer, so it's a fine line between what I can put in without ruining the story, and what would really spoil the book. I take notes on every book I ever read. I keep a little journal around with all my book notes. Regarding spoilers: I haaateee them and am very diligent in keeping my notes vague enough that they give away nothing. In circumstances that I can't help it I do what Gina does and leave it for the bottom in a font that is invisible unless highlighted by the reader. I also do this when I'm participating in a book discussion and my answers may give something away. My reviews are quite short partly for this reason. I don't keep notes because I reckon what I remember is the most important thing- if I don't remember it then its not worth mentioning!